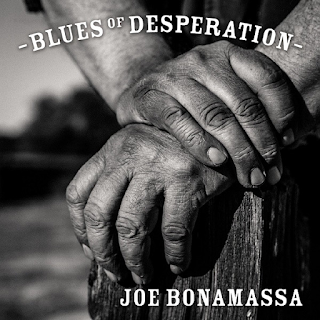 This is, for me, far more of a rock album from the fast-becoming legendary blues rock man Joe Bonamassa. At times it has a real heavy rock thump to it, huge pounding drums and lots of industrial strength riffs. He has done many far more bluesier albums than this but it is loud, punchy and enjoyable. It certainly blows the cobwebs away and makes your speakers shake. "This Train" is a storming opener, full of powerful rock drums, woo-woo backing vocals and chunky guitar. Bonamassa's vocal is gruff and totally in command throughout the track. "Mountain Climbing" is a riffy, almost heavy rock number. "Drive" sees the full-on attack calm down briefly, with its melodic, laid-back and rhythmic Chris Rea-style intro. Joe's vocal is quieter and soulful. There is a great atmosphere on this one. "No Good Place For The Lonely" is a solid, mid-pace rock ballad. It features an extended, killer guitar solo. The title track is a mysterious one, with some swampy wah-wah guitar and big Led Zeppelin-influenced choruses. "The Valley Runs Low" is a Don Henley-ish West Coast-sounding catchy number. It has a real soulful feel to it. "You Left Me Nothin' But The Bill And The Blues" is the first real, upbeat genuinely bluesy rocker on the album so far. 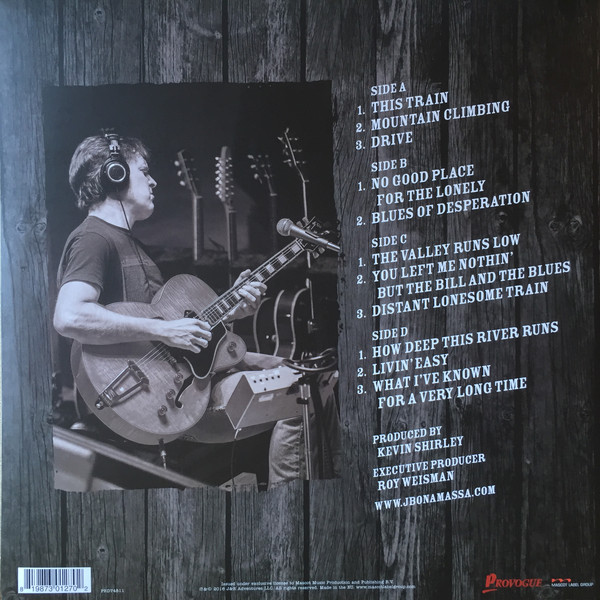 Bonamassa's guitar on here is intoxicating and his vocal is superb too. As for the guitar solo in the middle. Glorious. "Distant Lonesome Train" is once more massively punchy, but it also has an organ-driven seventies rock feel to it and a great rolling drum sound. "How Deep This River Runs" is a muscular rock ballad again augmented by stunning guitar and drums. "Livin' Easy" is a surprise - a jaunty, jazzy number completely different to anything else on the album, with everything toned down and keyboards and saxophone to the fore. "What I've Known For A Very Long Time" is a horn-driven piece of bluesy rock to finish on. As I said earlier, though, this is more of a rock album than a blues rock one, or indeed a blues one. It is a powerful listen though.